The Vista® 639 LSO 4 Panel is Aspen’s most substantial LSO, offering multiple layers of support around the entire torso. With coverage from the symphysis pubis to the xiphoid process coupled with overlapping lateral and anterior panels, the Vista 639 LSO 4 Panel brace provides unparalleled support in all three planes of motion with similar anatomical coverage and rigidity as a custom-fabricated LSO. The one-size adjustable Vista 639 LSO 4 Panel comfortably fits waist sizes ranging from 26-60 inches, and up to 70 inches with the extension panel. 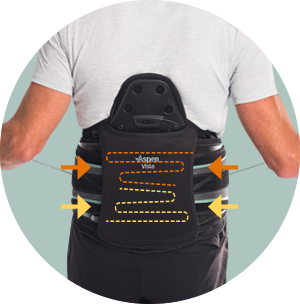 Coverage from symphysis pubis to xiphoid process along with overlapping panels offer added flexion and lateral control, all without compromising patient comfort. 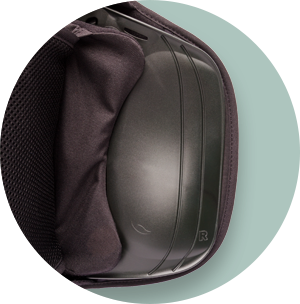 Removable panels include designated trim lines enabling experts to customize the brace to accommodate individualized patient anatomical and medical needs. All structural components are easily removed and can be heat molded, bent or trimmed to further customize the brace to accommodate various individual patient conditions. The Vista 639 LSO 4 Panel can be seamlessly stepped down to provide the needed support and motion restriction throughout each patient’s recovery to health. 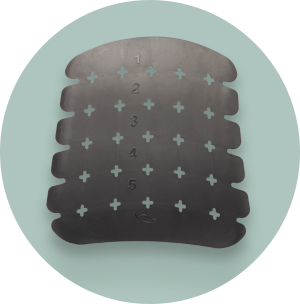 Aspen's Super SlickTrack™ System features an independent upper and lower tightening mechanism that provides direct compression where needed, regardless of patient's strength. Need Replacement Parts or Hot / Cold Packs ? Backed by 25 years of clinical research and a reputation for extensive testing and rigorous development requirements, Aspen products are engineered to meet varying medical needs and to perform at a therapeutic level. Committed to research that includes peer-reviewed studies, biomechanical analyses and research driven design, Aspen products are trusted by trauma centers, clinical practices and rehab facilities nationwide. How often do the pads need to be changed? Pads should be changed and/or cleaned daily. Will my health insurance pay for the brace? Medicare and most private health insurance companies do offer coverage for this treatment option. Consult Medicare or your insurance carrier to verify coverage. How do I clean the brace? Use a mild soap and water to clean the brace by hand. Rinse thoroughly and pat out any excessive moisture. Allow to air dry completely. Do not use bleach, harsh chemicals or machine wash/dry. Can I wear the brace under my clothing? Yes, Aspen braces can be worn underneath clothing, but an undershirt is recommended next to skin for enhanced comfort. What spinal indications was this brace designed to treat? Your physician may use braces for various reasons. For common indications, refer to the Spine Application sheet. How do I clean the pads? Use a mild soap and water to clean the pads by hand. Pat them dry with a towel and lay out to air dry. Do not use heat to dry the pads. Where can replacement sleeves be purchased? Replacement pads may be available from the facility you received the brace from, or you may order more online at aspenmp.com, by calling 800-295-2776 or emailing orders@aspenmp.com. Where can I get another therapy pack? It can be purchased online at aspenmp.com, by calling 800-295-2776 or emailing orders@aspenmp.com. How do I get this brace? Aspen Medical Products is unable to sell directly to patients. Our braces require a prescription from a physician and only licensed healthcare practitioners are authorized to purchase. To find out if an Aspen brace is right for you, please talk to your doctor. How do I select the correct size adjustment? For detailed instructions, refer to the Inservice Videos or the Instructions for Use. Please call Aspen Customer Service at 800.295.2776 or email service@aspenmp.com to get a hold of your local Rep.
Will medical insurance carriers cover this product? The majority of Aspen products are approved by PDAC (Medicare Pricing, Data Analysis and Coding), and have been provided with a reimbursement code. Consult Medicare or the appropriate insurance carrier to verify coverage. Download our Spine Indication Chart to help determine which Aspen product is right for your needs. With 25 years of research driven design, Aspen is committed to providing patients with effective solutions to their unique spinal conditions. Aspen’s comprehensive product development approach produces ground breaking innovation with the therapeutic goal to improve patient outcomes. 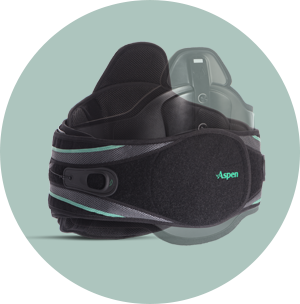 Whether it’s providing therapeutic motion restriction, reducing skin breakdown, improving posture or reducing muscle spasm, Aspen products continue to help drive industry standards in spinal bracing for efficacy, quality, design and outcomes. "Aspen Medical Products featured on Morning Blend…"